David is leading the Canada Food Brand Project with the support of Canada 2020 staff, and a dedicated advisory group representing our partners and experts in the field. 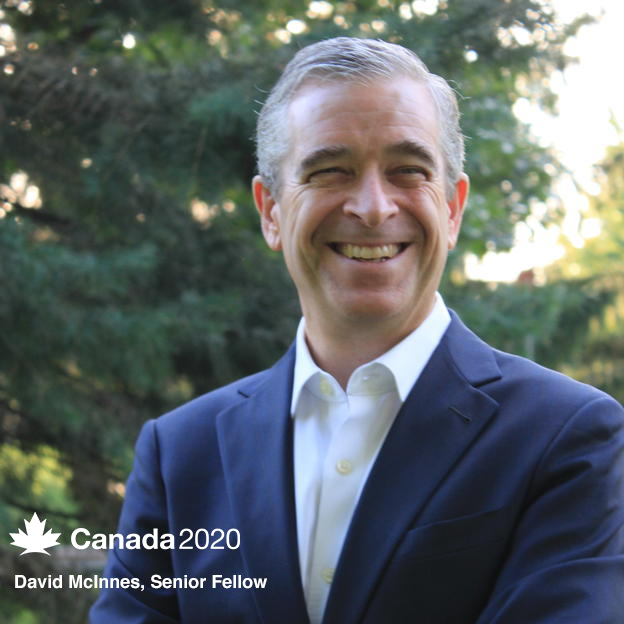 CANADA 2020 is thrilled to announce that David McInnes will be joining the organization as a Senior Fellow. David is leading The Canada Food Brand Project, a new collaborative research initiative aimed at giving policymakers, industry leaders and stakeholders the tools they need to seize Canada’s agri-food potential. This project will focus on how best to support Canada’s trusted food brand in the domestic and global marketplace. Through a series of dialogues, Canada 2020 will also consider how “the brand” can encourage collaboration and frame policy choices – culminating in our National Forum in November 2019. – David McInnes, Senior Fellow at Canada 2020.